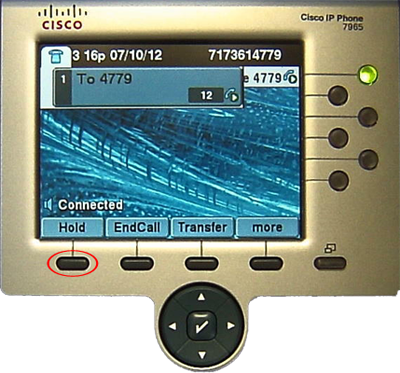 Holding call allows you to place the handset back on the receiver without disconnecting the call. Resuming a call allows to you to resume a held call. This page provides instruction for holding and resuming calls. Hold a Call: With a call active, press the Hold softkey. Resuming a Call:Press the Resume softkey to resume a held call. 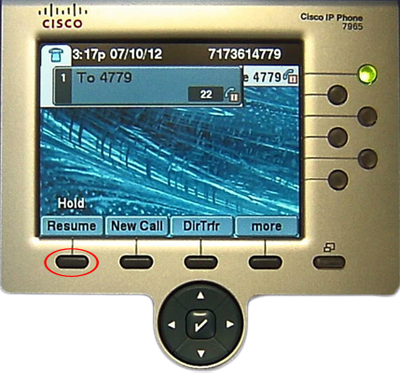 Multiple calls can be held on a line. For information on switching between held calls see Switching Calls.